Susan Rainwater was biking down a highway in Washington State when she was struck from behind by a motorist and killed. The driver sped off, leaving behind Susan and her mangled bike — plus a tiny piece of plastic broken off from the vehicle. There were no known witnesses. It was in the middle of the state, on a remote highway that runs through isolated farmland. The only possible evidence police could trace back to the killer was this piece of plastic, and they didn’t know what it was. Soon after, a redditor posted the piece of plastic to the subreddit r/WhatIsThisThing, a forum where people identify random crap. Then police got lucky: A guy called u/JeffsNuts just happened to be scrolling by. The post blew up. Redditors were amazed someone could know such a tiny fraction of a piece of plastic belonged to a specific truck from a specific year. The information got back to Washington State Patrol, who used Jeff’s tip in conjunction with an anonymous phone call describing such a Chevrolet: a 1980s pickup with right-side headlight assembly and damage to its front end. Soon, he says, his Reddit inbox filled up. “There have been a handful that want to take some things from my comment history out of context to parade around to everybody and make me look like a bad guy, but I expected that,” he wrote on Reddit. Jeff is a regular contributor to the subreddit r/GreatAwakening, a community devoted to QAnon, the complex conspiracy theory about an alleged shadow network of pedophiles in the U.S. government. QAnon adherents believe President Trump working in tandem with Robert Mueller in a game of political chess that will eventually lead to the unearthing of a giant child-abuse ring that includes Hillary Clinton, Barack Obama and every U.S. president before Trump. What started as a niche discussion on 4chan is now making headlines: Roseanne Barr is a believer, a QAnon follower recently blocked traffic on the Hoover Dam and one prominent QAnon figure was invited to the White House for a photo-op with Trump last week, tweeting Q hashtags that made the community go nuts. Like QAnon, the hunt for Susan Rainwater’s killer crossed Jeff’s path as just another clue in some abstract online game. 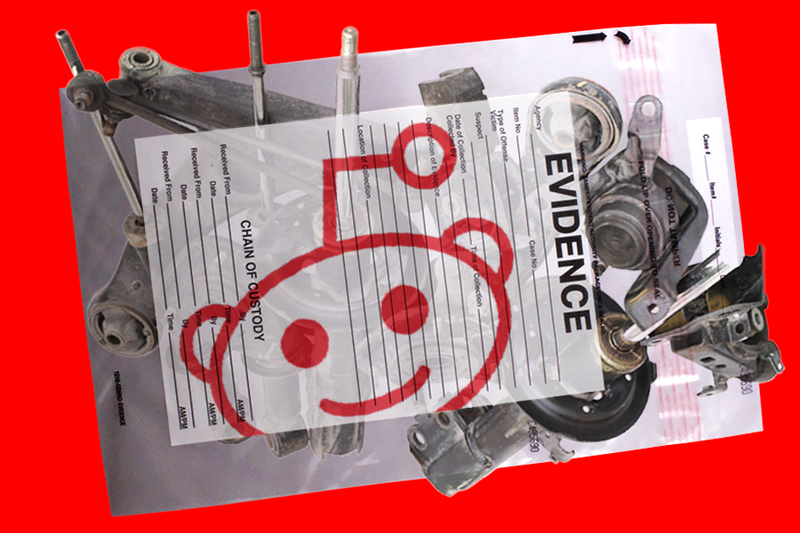 He first posted about that truck, he says, “for that all-important internet karma.” Only this time, the evidence was real — and Jeff had the missing piece. So what happens when a guy who tracks a preposterous tangle of alleged criminal mysteries finds a real one, and actually helps solve it?